Mark took a cool video of our favorite hummingbird that you can view on Vimeo. For the hummingbird food, I use a very simple recipe. I don’t use red food coloring because I heard it’s not good for the little birds. Bring to a boil and then let it cool. 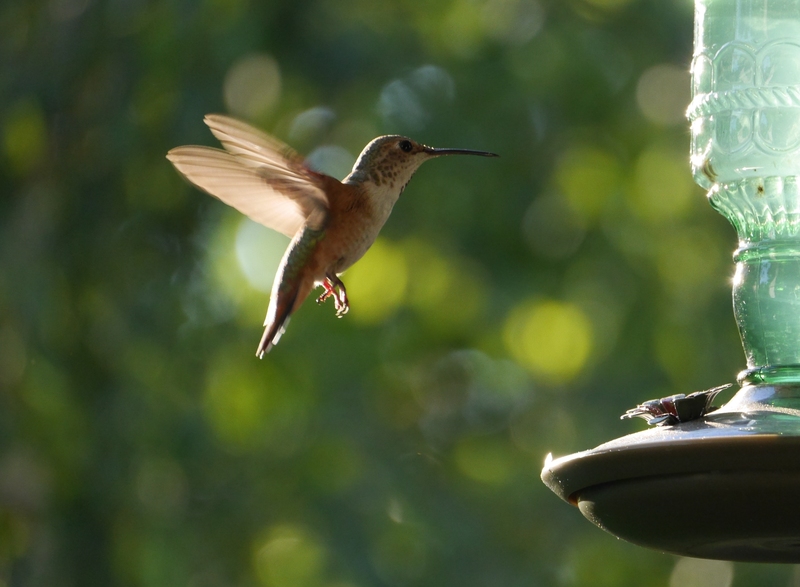 Fill your hummingbird feeder. Mine is from Osh. I put the excess hummingbird food in one of my Jar Toppers from Lindsay. This reminds me of my mother. She would make sure that the hummingbird feeder was always full. They are such cute little guys!